A fool-proof and freezeproof Call. It's hard to master a sound you seldom hear, like the sounds of a cow elk. 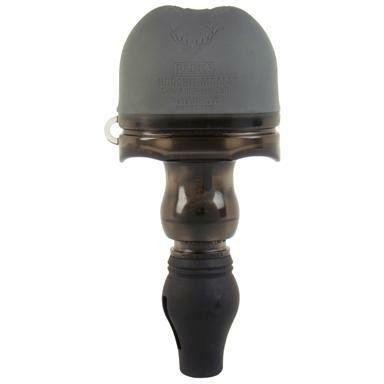 That's why Primos ® has mastered it for you with the Hoochie ® Mama Cow Elk Push Call. Just push the bellow for perfect cow elk sounds with the distinctive sliding note. A simple twist of the Call lets you switch between mews LostTM cow calls and EstrusTM cow sounds. The Hoochie ® Mama took more than 4 1/2 years, and a lot of advanced technology to perfect. Primos Hoochie Mama Elk Push Call is rated 4.8 out of 5 by 4. Rated 4 out of 5 by RICHARD from They're great, although I have yet to use them in the field. Rated 5 out of 5 by OLLIE from Seems to be a good&simple to use call. The most realistic sounding buck call ever! Fool even the wisest whitetail! Rattle a trophy buck into range with this. FreezeFree™ Design frees the call from "freeze-ups"
Amazingly life-like sounds for incredible results!